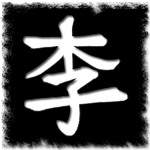 The art of Kung Fu San Soo is comprised of “Five Families” of diverse, yet inter-related facets. Each of these facets is an art unto itself. 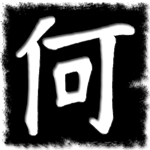 Tsoi, Li and Ho were family names and each family had its own specialized fighting system. Tsoi, Li and Ho combined their systems around Fut-ga dealing with the use of the mind or psychology and Hung-ga the proper use of power. 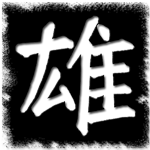 In truth, there are three families, with five aspects of training. Lo Sifu, Chin Siu Dek (Grandmaster Jimmy H. Woo), used the name Kung Fu San Soo to describe the fighting aspect of Tsoi Li Ho Fut Hung Kung Fu. The term Kung Fu (功夫) or (gōngfu: Mandarin Pinyin) is a well-known Chinese term often used by the West to refer to Chinese martial arts. 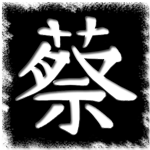 Its original meaning is somewhat different, referring to a person’s expertise in any skill, not necessarily the martial arts. 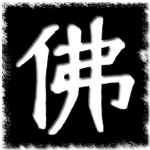 Gōngfu (功夫) is a compound of two words, combining 功 (gōng) meaning “achievement” or “merit,” and 夫 (fū) which translates into “man,” so a literal translation would be “human achievement.” Its connotation is “an accomplishment arrived at by great effort.” San Soo (散手) or Saan Sau (sàn shǒu: Mandarin Pinyin) is a compound of two words, combining 散 (sàn) meaning “scatter, disperse or break up,” and 手 (shǒu), which translates into “hand,” so a literal translation would be “free hand.” When San Soo is combined with the term Kung Fu, its connotation is “the complete use and versatility a man’s hands are capable of in the realm of hand-to-hand combat.” This combat incorporates kicking, punching, throws and leverages executed in perfect rhythm. It is important to understand how the families work together to form San Soo. If you overlook one of them, you will lose an integral part of the art.